When we put our bodies under long periods of physical and emotional stress, we deplete our levels of key nutrients, hormones and neurotransmitters. Left untreated, this can quickly lead to long term health problems like adrenal fatigue. To recover from chronic stress and give ourselves a chance to heal, one of the things we need to do is start treating our bodies better. To reduce the stresses placed on our bodies, there are two simple strategies. First, remove as many stressors from your life as possible. Some of these might be emotional, but many are physical. 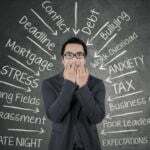 For example, eating pesticide-laden food, over-medicating, or drinking heavily can all put your body under stress. Second, start employing anti-stress techniques like deep breathing, better nutrition, getting into nature, and yoga. So, here is my comprehensive list of 101 easy-to-follow tips to detoxify and reduce the stress load on your body. Even if you only use 10 or 20 of these, you can make some significant improvements to your health. Good luck! Locally grown food is nutritionally superior to food transported long distances, because food picked within the last 24 hours doesn’t have a chance to nutritionally degrade. Foods brought in from other parts of the world are often picked before they are ripe, and they lose much of their nutritional value while sitting in warehouses and trucks. Buying your food at local farmers markets will ensure that you get the biggest nutritional boost. Synthetic fibers such as polyester, rayon, nylon, acrylic and acetate contain harmful chemicals that can irritate your skin and undermine your immune system. Cotton, silk, cashmere, linen and wool are much safer choices if you’re serious about reducing your toxic load. Artificial light can prevent you from getting a proper sleep, but it has also been linked to other illnesses like breast cancer. Give your body a chance to recover and repair itself each evening by sleeping in total darkness. Follow good sleep hygiene by using blackout curtains, switching off your phone, and closing the bedroom door. When you walk around outside, your shoes are picking up all kinds of unpleasant substances like fertilizers, chemicals, animal feces and bacteria. Taking your shoes off when you enter your house will create a much healthier environment in your home. This is especially important if you have infants crawling around on your floor. Most canned goods are lined with BPA (Bisphenol-A), a chemical that disrupts your hormones and is linked to conditions such as heart disease, infertility and diabetes. Acidic foods like tomatoes are the worst because they absorb more of the BPA. Look at your shopping list and try to avoid foods in cans if possible. These days many ‘canned’ foods are available in glass jars or cardboard too. Regular hair dyes are full of toxins – peroxide, paraphenylenediamine (PPD), ammonia and resorcinol are just a few that you should know. These chemicals are all absorbed directly through your scalp. Use a natural hair dye instead, and you may find that your hair looks healthier and shinier too. Take a 20-30 minute bath in warm water with 1 cup of Epsom salt and 1 cup of aluminum-free baking soda. The combination of the hot water, Epsom salt and baking soda draws out toxins (your skin is responsible for around 10% of toxin elimination). This bath also helps to replenish your magnesium supply, as many of us are magnesium-deficient thanks to our Western diets. Buying organic will cut down on the amount of pesticides and synthetic fertilizers that you consume. If you can’t afford organic food as part of your diet, make sure you thoroughly scrub the skin of any produce to remove pesticide residues. Even better, consider starting your own garden where you can control exactly what you’re eating. A cleansing glass of lemon water each morning can improve your digestion, support your liver and boost your immune system. Just squeeze half a lemon into a glass of water and drink. Lemon juice is very acidic, so you should use a straw to prevent damage to your enamel. The pressure applied during a massage improves your blood circulation and increases your lymphatic flow, both great ways to detox and flush out more toxins. Just be sure to drink plenty of water after your massage. There is now plenty of evidence that fluoride is more harmful for your body than helpful for your teeth. Buying herbal fluoride-free toothpaste instead of your regular brand is one way to detox your daily routine. If you’re worried about cavities, cut out the sugar! We still don’t really know the truth about genetically modified (GMO) food. Most of the research is conducted by industry-sponsored scientists with clear potential for bias. Some independent research has identified potential side effects both for your body and the environment. Learn where they are and how to avoid them (they are often hidden where you would least expect). A good tip is to avoid foods containing corn or soy where possible, as these are often GMO. The air inside our homes often contains many harmful substances. Examples are mold spores, cleaning materials and toxic paints. The easiest way to get the fresh air flowing is by opening your doors and windows for at least 10-15 minutes each day. This prevents your air from becoming stale and removes many of those pollutants. Constant emotional stress weakens your immune system and leaves your body vulnerable to illness. Pay attention to what causes stress in your life and do your best to resolve it. Participate more in pleasurable activities. Life is short! Artichokes contain a potent chemical compound called Cynarin that helps regenerate and repair the liver. They are also powerful antioxidants and have been shown to reduce cholesterol levels. Artichokes are a great addition to any diet. Deep breathing oxygenates your cells and enables your lymphatic system to remove waste products from your body. It can also reduce stress and help with the symptoms of depression. Start by spending 2-3 minutes deep breathing each day and you will immediately notice a difference. Vitamin D is synthesized when the sun’s ultraviolet rays hit your skin. Optimal vitamin D levels are important to help the body absorb calcium, to keep bones healthy and strong. It reduces the risk of cancers, diabetes and high blood pressure, in addition to keeping your immune system healthy. If you are not getting enough sun in the winter, spending at least 15 minutes outside each day will help to maintain your vitamin D levels. Bleach contains chlorine, a toxin that is known to weaken your immune system. Using bleach on your clothes can expose you to this harmful chemical. Luckily there is a natural alternative. Just soak the stain in lemon juice and salt, or add one cup of lemon juice to brighten a load of whites. Skin brushing is a great way to boost your circulatory systems, unclog your pores and allow your skin to expel more toxins. This simple detox method only takes a few minutes and requires nothing more than a brush with a long handle and natural bristles. Most vacuums do a passable job of picking up pet hair and other items, but smaller dust particles are often just thrown back up into the air. Make sure that your vacuum has a HEPA filter to trap these particles and ensure that the environment in your home remains free of pollutants and allergens. Farmed fish are raised in crowded and unsanitary pens. They are fed fish pellets that contain GMO foods, sprayed with pesticides and insecticides and dosed with antibiotics. And then we eat them! Switching from farmed fish to wild fish will get you a healthier, leaner source of protein and remove a bunch of toxins from your diet too. We all love barbecuing in the Summer, but unfortunately that charbroiled taste comes with a cost. When dripping fat flares up and chars the meat, it forms two known carcinogens – PAHs and HCAs. Stewing, poaching and steaming are safer ways to cook, but there are ways to barbecue more safely too. Just keep the meat a little further from the flame, clean your barbecue regularly and don’t overcook. The heat in a sauna increases your core body temperature, resulting in sweating which eliminates toxins through the pores of your skin. The higher temperature can kill pathogens inside your body and improve your circulation too. It’s a great stress reliever as well as a really useful detox tip. Just remember to drink a glass of water both before and after your sauna. Coconut oil is comprised of three healthy fats (Lauric acid, Caprylic acid and Capric acid) that have antifungal, antibacterial and antiviral properties. Coconut oil is also extremely heat-stable, meaning that it doesn’t break down into ‘trans fats’ at high temperatures. Add it to your oatmeal in the morning, bake with it or just use it instead of your regular cooking oil. Alternatively you can get many of its cleansing benefits by simply eating a spoonful each morning. Most commercial mosquito repellents are laden with hazardous chemicals such as DEET. Some are so toxic that they will melt plastic or even strip paint from a wall! Choose a natural repellent that contains ingredients such as citronella, lavender or tea tree oil. They might not be quite as effective, but getting a couple of mosquito bites is preferable to absorbing toxic chemicals like DEET into your skin. Table salt is actually very different from natural salt. The refining process strips out many of the healthy minerals and replaces them with man-made chemicals. The very best salt you can eat is Himalayan sea salt, which contains more than 80 trace minerals that are vital more your overall health. And don’t worry about adding salt to your food (80% of the salt we eat actually comes from processed food anyway). 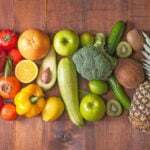 We need a steady supply of vitamin C, which is not always possible unless you eat lots of fruit and vegetables. A good vitamin C supplement will ensure that your body has all it needs to fight infections. Find a brand with added rosehips (a great natural source of vitamin C). This is particularly important during the winter months. If you’ve never paid much attention to food labels, you might be surprised what goes into processed foods. Most of them are full of sweeteners, preservatives and other additives, all of which need to be processed by your liver. Give your body a break and stick to a cleansing diet of natural, whole foods. If there’s something in the ingredient list that doesn’t sound like real food, don’t eat it. In most parts of the developed world, the water supply contains small amounts of Chlorine that is added to kill bacteria. Sadly, this can also disrupt the balance of your gut flora and weaken your immune system. Get a filter for each tap you use or buy a whole-house filter if you can. This will also remove harmful heavy metals and ensure that the water you drink is totally safe. This is easier said than done, but if you are serious about detoxing you need to quit smoking now. Cigarettes contain thousands of toxic substances including formaldehyde, ammonia and arsenic. Yuck! The good news is that by quitting smoking early you can avoid many of the long-term health problems that affect smokers. Teflon-coated non-stick pans may be very convenient, but they are made with polytetrafluoroethylene. This releases carbonyl-fluoride and other toxic gases when it is subjected to high temperatures. By using a stainless steel pan (and taking a few extra seconds to clean it) you can reduce the amount of toxins that are leeching out into your food. If you’re suffering from a common cold or a virus, don’t rush to the pharmacy. The most important thing you can do is get some rest. Alternative remedies like hot showers and honey and lemon tea can improve your symptoms. And gargling with salt water has been shown to reduce the length and severity of cold symptoms. Sweeteners like Maltodextrin, sucralose and aspartame can be really hazardous to your health, with links to symptoms like headaches and other neurological conditions. The solution? Try a natural sweetener like Stevia. This herbal sweetener is just as sweet as sugar but with none of the side effects. You can buy it in most health food stores, but be sure to buy a brand with 100% Stevia, and no other sweeteners added. Drinking alcohol can overload your liver and weaken your immune system. A hangover is your body’s way of telling you that it is under stress. Try to cut down on your alcohol intake, or quit altogether if you can. If you really need a drink, have a glass of organic red wine (it contains an antioxidant compound named resveratrol). Processed meats like lunch meat and spam contain toxic nitrates (a preservative linked to cancer) and lots of added sugars. They are also have an extremely high sodium content. Buying fresh cuts of meat from your local butcher is a great first step to cleanse your body of additives and unnecessary toxins. Soy is almost all genetically modified now, and it is also disruptive to thyroid function. Coconut Aminos is a great alternative to soy sauce that you can use in your cooking or salad dressing. It is naturally derived from coconut and is full of nutrients. There are two great reasons to try contrast showers. First, they improve your circulation, and second, they boost your immune system. Contrast showers take only a few minutes each morning and can have an immediate effect on how you feel. Maintaining a healthy balance in your gut flora is critical for a healthy digestive system and a strong immune system. There is also some evidence that probiotics may help to modulate your stress levels. If you have taken antibiotics recently or eat a high-sugar diet, this balance may have been lost. Restore it by taking a good probiotic supplement each morning. Find a brand with at least 20 billion CFUs and several different strains. The benefits of venturing out into nature are more than just psychological. Getting all that fresh air and exercise are great for your immune system and a wonderful way to cleanse your body of toxins. So get off the couch and try to get to a park or outside of the city at least once a week. Cycling, swimming and walking are fantastic ways to detox in the great outdoors. Missing breakfast can lead to low energy levels and sugar cravings at lunchtime, but it also prevents you from getting the nutrients that you need. Studies have shown that a proper breakfast enables us to maintain a healthy body weight too. By eating a nutritious, low-sugar breakfast, you support your liver and digestive system and give them the best chance to eliminate toxins from your body. Here’s a really simple detox tip that we should all follow. Reading the ingredients labels on every food that you buy is the best way to ensure that you are eating a healthy diet. You should never trust the promises on the packaging. Foods that are advertised as ‘Low Fat’ are often high in sugar, and those that say ‘no added sugar’ often contain toxic sweeteners. Sugar is hidden in the most surprising of places, for example ‘healthy’ snack bars, tomato sauce and salad dressings. Caffeine puts a strain on your adrenal glands which can cause fatigue, weight gain and a weakened immune system. Common sources of caffeine include coffee, tea, chocolate, soda and energy drinks. Switch to green tea or eliminate caffeine entirely. Try drinking chicory coffee or herbal teas instead, and skip the sugary sodas completely. Sleep is when you give your body the time to repair and renew itself. If you eat a huge meal late in the evening, your liver and other internal organs spend their time and energy processing your food instead of repairing themselves. Give your body a break and don’t eat anything after 8pm. You’ll wake up feeling brighter and fresher in the morning and you might even lose some weight too! Green vegetables contain chlorophyll, a pigment that has the ability to neutralize heavy metals and other pollutants. Asparagus, dandelion greens, spinach mustard greens, arugula, kale, and broccoli are all great sources of chlorophyll. For a more intense detox you can find liquid chlorophyll at your local health food store. This super spice breaks down excess mucous in the body and has antibacterial, antiviral and antifungal properties. Turmeric contains a compound called Curcumin that has the ability to repair and rejuvenate your liver. Maintaining the health of your circulatory systems is very important, and this detox tip is a wonderful way to do it. Yoga can improve your blood and lymphatic circulation, enabling your body to cleanse itself more quickly. It also straightens your posture, reduces stress and improves your balance. In 2011 scientists from The International Agency for Research on Cancer (IARC), announced that radiation exposure from cell phones is a potential cause of cancer. Throwing away your cell phone is not an option these days, but you can reduce your exposure. Use your landline more often, keep your cell phone away from your body as much as you can and don’t sleep with it next to your head. A healthy body is one that has been allowed enough time to repair and restore itself. That’s exactly what your body does while you are sleeping, so an important part of your detox is to get enough sleep. Before the age of electricity and artificial lighting we used to regularly get 9 hours of sleep. You should be aiming for a minimum of 8 hours each night. There are lots of herbal teas with cleansing properties. Milk thistle, peppermint, ginger, nettle, sarsaparilla and dandelion are just a few examples. Making herbal teas throughout the day is a good way to drink more water, and it might help you to quit coffee too. Most peanuts and peanut products come from humid climates that cause the crops to mold during storage. As well as being treated with large amounts of pesticides, they also contain Mycotoxins produced by mold. The healthiest peanut butter is made from Valencia peanuts grown in dry climates. So forget your regular peanut butter brand and find an organic, low-sugar brand that uses Valencia peanuts. You won’t enjoy the benefits of detoxing if you surround yourself with toxins in your home, and modern cleaning products are one of the worst culprits. The toxic residue that they leave behind can weaken your immune system, overload your liver, and actually leave you more vulnerable to infection. Use natural cleaning products instead and you can reduce your toxic load. For example, a 50/50 mixture of vinegar and water will clean bathroom floors and tiles, while pure vinegar can clean toilets and kitchen surfaces. Cans aren’t the only place where you might find BPA (Bisphenol-A). It is also frequently used in plastic water bottles and the food storage containers you use in your kitchen. Allowing your food and drink to come into contact will allow the BPA toxins to leech from the plastic. This is especially true for hot food. Switch to all BPA-free (or glass) containers as soon as you can. “An apple a day keeps the doctor away” goes the saying, and there is some truth to it. Apples are a great source of pectin, a fiber that cleanses your body of toxins, cholesterol, heavy metals and other contaminants. You should buy local apples if you can though. The apples in supermarkets are covered by a thin layer of wax to keep them fresh, but they might actually have been picked months ago. Mold in the house is toxic and can lead to respiratory problems. Make sure there aren’t any leaks or leaky pipes that could cause damp walls. If you suspect that your house has a mold problem, you can buy a kit to test for it from your local hardware store. In particularly bad cases you may already be able to smell the mold. You might enjoy that ‘new car’ smell, but do you know where it really comes from? It is actually a combination of Volatile Organic Compounds leeching from the adhesives and plastics in your car. These include chlorine, bromine, lead and several heavy metals, and they can severely weaken your immune system. Keep your car windows open as much as you can during the first month after you buy your car, and don’t breathe these toxins into your lungs. Apple Cider Vinegar (ACV) is full of nutrients, antibacterial and it is a wonderful way to detox. You can use it in your salad dressings, add it to your bath, or simply drink a shot of ACV each morning. Coconut oil isn’t just for cooking! Use it instead of your regular night cream and you’ll find that your skin still feels moist even in the morning. It is totally natural and far better for your body than those expensive chemical-filled creams. And even better, it’s really affordable too. If you live in a colder climate you might need to heat up the oil by rubbing it between your hands first, as coconut oil solidifies below 76 degrees Fahrenheit. This superfood contains Alginic Acid, a substance that can remove heavy metals and other trapped toxins from your body. Seaweed also contains antioxidants and provides a healthy dose of fiber to fight constipation. It has potent antibacterial, antiviral and antifungal properties too. You can make a tasty seaweed salad with coconut aminos and some sesame seeds. Aluminum is a neurotoxin with links to Alzheimer’s disease and breast cancer. So why would you want to put it on your skin? Look at the labels on antiperspirants and you will see that all of them contain aluminum. Not only is this a health hazard, it is also the ingredient that ruins your clothes too. If you’re serious about your detox, switch to an aluminum-free deodorant. You can also try one of the all-natural brands, although they don’t work for everyone. Juices and smoothies are a fantastic way to get a huge vitamin and nutrient boost without having to prepare a large meal. Use superfood ingredients like kale, avocado and flaxseed along with your regular fruits and vegetables. I recommend blending rather than juicing, as this is the best way to retain all the healthy fiber in your drink. By spending a few extra seconds chewing each mouthful, you can improve the efficiency of your digestive system and prevent acidic build-up in your gut. This is because chewing breaks down your food, leaving less work for your intestines, and the saliva in your mouth turns it more alkaline. And here’s another good detox tip. The Chinese have always said that you should eat until you are three quarters full, not until you bursting. Follow that advice and you will both lose weight and enjoy a healthier digestive system. Jumping up and down on a trampoline is a fun way to get your lymphatic system and blood circulation going. These systems enable your body to remove waste and toxins from cells. Trampolining, with its rapid up-and-down motion, is one of the best ways to boost your circulation. It also causes very little stress on your joints and doesn’t require a gym membership! You can buy mini-trampolines in your local sports store. Wheatgrass is full of chlorophyll, a blood purifier, cleanser and detoxifier. You can take 1 or 2 ounces at a time. Buying a box of frozen wheatgrass shots is more convenient and economical than juicing them yourself. Just take one out of the freezer each morning and drink it, either alone or in your morning smoothie. Wholewheat pasta is certainly better than the regular white pasta that you used to buy. But there are even healthier forms of pasta out there. Buckwheat pasta is a great example. It doesn’t contain gluten and it has a much lower Glycemic Index than other pastas. It’s true – healthy, organic foods do cost more. This is partly because of the corn subsidies which have led to so many cheap foods containing High Fructose Corn Syrup. Although healthy foods now may expensive now, the long term benefits to your health are worth it. Investing in your health now means smaller medical bills down the road. Houseplants not only oxygenate the air, they also remove toxic carcinogens like benzene and formaldehyde. Adding an indoor plant to each room is a great detox tip that will purify the air in your house. Plants like the Peace Lily, Spider Plant and Kentia Palm are easy to maintain and will make an immediate difference. Don’t forget to put one in your office space too! A little exercise goes a long way when it comes to reducing stress. Along with a good, clean diet, you should try to get at least a few minutes of exercise each day. Leave the car at home and walk to the shops, take the dog out for a stroll or just go visit a friend. Staying active helps your digestive system, blood circulation and lymphatic system to eliminate toxins from your body. Everyone knows that too much sun will lead to skin cancer these days, but did you know that too much sunscreen is unhealthy too? Fragrance in your sunscreen can cause skin irritation, but it’s chemicals like oxybenzone, nano-scale zinc oxide and titanium dioxide that you need to watch out for. These chemicals can be absorbed through the skin and inhaled too. Use a natural sunscreen instead (they cost about the same as regular sunscreens) and you can be sure that you won’t be adding to your toxic load. Just like caffeine and cigarettes, illegal drugs are an unnecessary stimulant that can weaken your immune system and affect your long term health. They add to the burden on your liver and kidneys, and they make your body work twice as hard to detoxify itself. Plus they are unregulated and so you will never know exactly what you’re taking. Forget about the legal issues – your long term health is a good enough reason to quit. Fresh, uncooked vegetables contain more nutrients than when cooked or processed. The act of cooking destroys many of the nutrients and fiber in your food. Try to eat raw salads as often as possible, and keep some chopped carrot or celery in the fridge as a snack. If you want to cook your vegetables, lightly steaming them will preserve more of the nutrients. Milk thistle supplements are a proven way to detox and repair your liver. They’re not the only way to take milk thistle though. Try drinking a cup of milk thistle tea each day for an easy way to detox and increase your water consumption at the same time. Dry cleaners use perchloroethylene (a solvent and volatile organic compound) to remove stains from your clothes. Unfortunately, the cleaning process doesn’t fully remove it, leaving your clothes covered in this toxic chemical. If you can’t find a ‘green’ dry cleaner, unwrapping and airing out your dry cleaning for two days will allow the toxins to dissipate. Leave them in an outside area like your garage where these toxins won’t do any harm. Antidepressants are toxic and often cause unwanted side effects. Your naturopathic doctor can work with you to find out if there are underlying nutritional deficiencies causing the depression. Low levels of Vitamin D, iron or Omega-3 fatty acids can sometimes be the culprit. And you should consider trying a natural antidepressant like St Johns Wort or Ginkgo Biloba. If you have access to raw organic milk from a local farm, you should consider switching from your regular brand. Raw milk contains more vitamins, minerals, proteins, enzymes and ‘good bacteria’ than pasteurized milk. It also tastes much better! 95 percent of the ingredients in most fragrances come from petroleum or petroleum derivatives. These include chemicals that are known to cause cancer, birth defects or allergies. Switch to a natural perfume made from flowers, herbs, and spices instead. Here’s another energy-boosting superfood to add to your diet. Beetroot was shown to increase endurance among cyclists by 19% in a recent study. It is also a great source of antioxidants, vitamin C, potassium and fiber. You can roast it, use pickled beetroot in sandwiches, or even make a beetroot hummus. Your liver has lots to do without being overloaded by medication. Take as few drugs as you can – just the ones that you really need. You might find that changes in your diet or lifestyle work just as well as some of the medication you have been given. And be particularly careful about using antibiotics. These powerful drugs are often prescribed for the wrong illnesses and can have a long-term weakening effect on your immune system. This is one superfood that everyone should try. Spirulina has been shown to boost your immune system, regulate your gut flora and reduce heavy metal toxicity. It is also high in protein and various vitamins and minerals. You can find Spirulina in any good health food store. These seeds have a mild pleasant taste so they can be sprinkled everywhere. Add them to your salad, soup, smoothie, yogurt or oatmeal. Just like flaxseed, chia seeds are great sources of Omega-3 fatty acids, vitamins and minerals, but they don’t have the strong taste of flaxseed. Hemp powder is rich in essential amino acids, Omega-3 and Omega-6 Essential Fatty Acids (EFA’s). You can use it in your smoothies instead of your regular protein powder, especially if that protein powder contains sweeteners like Maltodextrin. Most candles are made from petroleum-derived products, which release carcinogenic chemicals into your home when they burn. Safer options are candles made from beeswax or soy. Another option is to use battery powered candles, which are smokeless and aren’t a fire hazard. This is a special kind of charcoal that has been treated with pure oxygen to massively increase its surface area. In fact one gram of activated charcoal has a total surface area of up to 2000 square meters. Why is this important? This property makes it perfect for absorbing toxins. 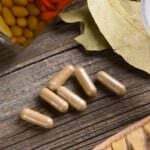 If you suffer from regular gas or bloating, activated charcoal capsules can help to reduce your symptoms and remove toxic gases from your gut more quickly. Here’s an easy way to get lots of healthy servings of raw food each day. Simply blend your favorite vegetables up and drink them! A simple example would be to blend some kale leaves, a peeled cucumber, 1/2 an avocado, a banana and water for a delicious, all-natural smoothie. Steel cut oats take longer to cook than regular oats because they have been processed less. So although you might have to wait a few more minutes for your breakfast, they are much better for you! Steel cut oats are much higher in fiber and will so a better job of cleaning out your colon, as well as reducing your cholesterol and cutting the risk of heart disease. Ocean water has been shown to help with conditions as diverse as arthritis, eczema, thyroid disorders and psoriasis. On the other hand, chlorine is a known toxin that can weaken your immune system. So if you have the choice between swimming in the sea or in a chlorinated pool, there is really no comparison. Ocean water is full of healthy minerals that can improve your health and wellbeing. Regular organic eggs are not always what they seem to be. Even with an organic certification, most of them come from factory farms where the birds are kept in unhealthy, inhumane conditions. Although they are not given antibiotics, the cramped, unsanitary conditions can quickly spread disease. Your safest bet is to buy eggs from a local organic farm that you trust. Visit your farmers market and ask the staff exactly how their hens are kept. Eggs are a great source of protein, but you will get much better nutrition from eggs that have been produced humanely. Silver amalgam fillings contain at least 50% mercury, one of the most toxic substances known to man. When you chew, grind, or brush your teeth, mercury particles and vapor are released into your body. Removing mercury fillings is not cheap but you should do it if you can. Go to a good dentist and they will take special precautions to ensure that no mercury is released into your body during the removal process. One of the major sources of stress comes from within us. Thinking positively is one way to improve your health by reducing that stress. Instead of always seeing the worst in situations, try to think encouraging thoughts and brighten your outlook. Meet up with your friends, be social and make the most of life. You will soon start to see that positive energy being translated into better health. This is a simple but surprisingly effective technique to remove toxins from your body and specifically your mouth. Just take a little olive oil or coconut oil and swish it around in your mouth for 5 minutes. If you are suffering from oral thrush or a persistent white tongue, this technique will quickly clear it up. Oil pulling was originally used in ancient Ayurvedic medicine, but it is seeing a resurgence in popularity today. Anti-bacterial soaps contain two toxic ingredients (Triclosan and Triclocarbon) which can disrupt your thyroid hormones and testosterone levels. Switching to a natural soap is one simple detox tip that will keep your hands clean without exposing you to more chemicals. Very few of us drink enough water throughout the day. Make sure you are drinking approximately 2 liters of water each day to stay properly hydrated. This will improve your circulation and digestive system, enabling your body to remove waste more efficiently. Drinking herbal teas like milk thistle or nettle leaf is a great way to drink lots of water and get extra health benefits too. It is commonly accepted that aluminum foil leeches chemicals on to your food during cooking. Food industry experts claim that the amount is so small that it will not harm you, but who wants to take the risk? Using glass dishes instead is a much safer option. You should also be wary of storing foods in aluminum foil, particularly if they are hot or if they are acidic foods like tomato. You know those beautiful flowers sold in your local store? They are virtually unregulated and the manufacturers are free to use almost as many pesticides as they want. You really don’t want these hazardous chemicals in your house, but the good news is that there are other options. Find a local, organic florist or grow your own! It is really easy and cheap to make a natural, homemade body scrub. Take 1 part olive oil and 2 parts Himalayan sea salt, mix together and get scrubbing with a loofah mitt. This will help to boost your circulation and improve toxin elimination through your skin. Himalayan sea salt is mentioned a few times in this list, for body scrubs and as a substitute for your regular table salt. But you can also buy Himalayan sea salt lamps to improve the air quality in your home. These lamps use a negative charge to neutralize pollutants and allergens in the air. Just switch the lamp on and it will start cleansing the air as soon as it warms up. If you suffer from allergies or regular cold viruses, this detox tip could really improve your health. Use a ceramic Neti pot to pour saline water through your nasal passages. This clears out dust particles and other allergens, allowing you to breath more freely and reducing your allergies. It can also help to reduce the duration of a cold virus. This practice of nasal irrigation (known simply as ‘Neti’), has been used by practitioners of Yoga and Ayurveda in India for over 5,000 years. Some paints can emit Volatile Organic Compounds (VOCs) for years after application. These toxic chemicals can lead to symptoms like headaches, fatigue, allergies and dizziness. If you are suffering from unexplained symptoms like these, check if your house has mold or your paint contains VOCs. Fermented foods like kim chi, kombucha and kefir are full of natural probiotics. These ‘good bacteria’ support a healthy balance of gut flora in your intestines and boost your immune system. They also play a really important role in your digestive processes and promote more efficient toxin elimination. 101. Say No To Toxic Hair-Straightening Treatments! Hair-straightening treatments expose both you and the salon workers to significant amounts of formaldehyde. This is a known carcinogen that is also present in cigarettes and toxic nail polish. A recent study of 16 hair-straightening products found that all 16 contained formaldehyde levels above safe levels, but not a single one included formaldehyde on its list of ingredients. Find a brand like ‘Bumble and bumble’ that specifically says it is formaldehyde-free. Great article. This is just what I needed!!! Some great advice here – thanks for sharing. I would also suggest cutting out meat completely! Although I never leave feedback online, I just had to this time – since your piece was just so wonderful and also served to remind me of/reaffirm almost all of the info I was already aware of (since I have ascribed to a “haute” totally vegan holistic lifestyle for years), but sometimes “slip” a bit in following same! Although, as was already commented on…I also would suggest leaving out any mention of meat – but, this is just because of a personal preference. Does hair straightening products include hair curlers and hair straighteners? Thank you for all of the above. I have only just learned about the toxicity of farmed salmon. I feel really gutted as I have recently eaten a lot of this (as part of a healthy programme!) without knowing about this toxicity. I have always put it in my family’s diet in the past too. Am so upset there isn’t a health warning when you buy this food, as this problem has been known for at least a decade. Do you have any suggestions for detox from specifically eating this please? Apparently farmed salmon leaves toxins in the body which do not exit easily, if at all. First of all, don’t get too stressed about it! Farmed salmon is still a whole lot better for you than most of the junk that people eat. If you’ve been making healthy changes to the erst of your diet, then you’re probably in pretty good shape. Make the switch to wild-caught salmon if you can, and keep working on improving your diet. There’s no need to detox — if you eat clean then the body will take care of that for you all by itself. Thanks for all the great and beneficial information. Thank you, thank you, and thank you. Thank you for thinking about us. This will help me for a life time. Great information cause i deal with trying to lose weight, arthritis, degenerating joint disease, sleep apnea, and hair loss. I’m going to do these things and clean out my body. I am going to replenish it back to healthy. Have you checked yourself for Hashimoto’s? I have it, and your symptoms sound just like it. For the inflammation (joint pain), I highly suggest quitting grains, and most certainly gluten. It works wonders for me. Along with all the recommendations in this article. Hi, how long does it take to repair your adrenals? I continue to have left flank pain and have had an ultra sound which showed it was not my kidneys. I have been working on this for a couple months it just seems you learn more and more and I don’t know if I am doing something wrong or what. Green tea contains plenty of caffeine so wherever you got your research from you need to re-look at that point. Actually green tea has far less caffeine than coffee. And it also contains l-theanine, which counteracts the ‘buzzy’ effects of the coffee. Hi steve, I wanted 2 let u know that there is decaf. Green tea. Blssi. I meant blessings! I sanded painted woodwork in my garage. The project went along fine but I noticed a sweet taste in my mouth. I thought back to when I was a kid and we would pick paint chips off the park bench and eat them because the tasted sweet. Kids do foolish things. Anyway. I realized I had inhaled a lot of lead. Same smell, same taste. 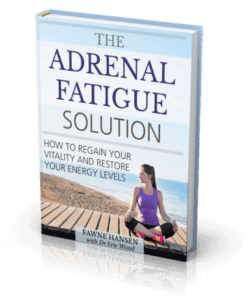 It put me into an adrenal fatigue that was tortuous. I chewed natural licorice just to get a boost of energy. After 9 months, the lead had dissipated to the point where I was getting better. It just shows how easily and innocently we can poison ourselves.